Hi everyone! 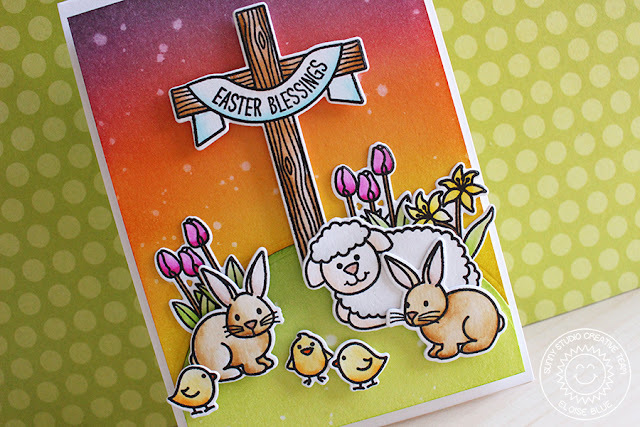 I'm up on the Sunny Studio Stamps blog today to feature the new Easter Wishes stamp set, this one is a super cute one and it's super easy to make scene cards with this set! Make sure to check out the blog to see how I made this card! Oh Eloise, this is just precious! A great job! 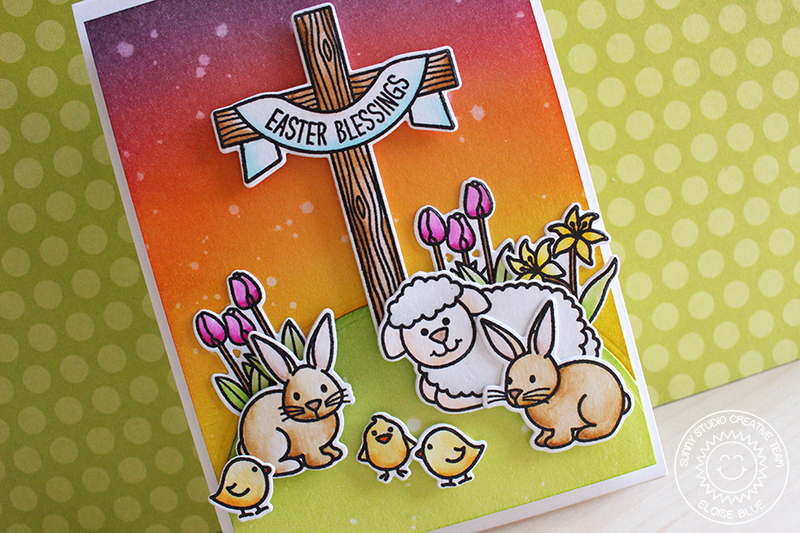 A perfect Easter card with the cross and sweet animals! Gorgeous coloring, too! !